The Ruth First fellowship is a prestigious award made by the University of Witwatersrand that enables journalists, writers, researchers, film makers or photographers to pursue in-depth projects that can be presented in ways to influence thinking, discussion and debate in South Africa. Our goal is to support a new generation of public intellectuals capable of immersing themselves deeply in the most pressing issues and ideas of the day, engage in original research and to tell great stories – presenting their work in ways that can engage a new generation of audiences. 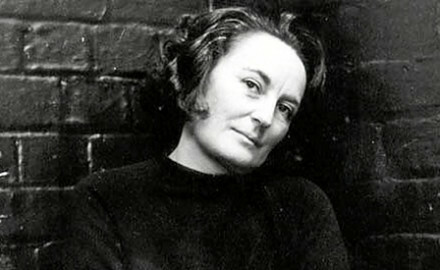 Ruth First was a journalist, activist, researcher and intellectual. She was assassinated in exile by the apartheid government. The fellowship is intended to allow Fellows to pursue an in-depth project of original research. It should be ground-breaking and in keeping with the tradition of Ruth First’s politically and socially relevant research and journalism. For 2019, our theme is Migrancy and Populism. South Africa has a long and difficult history of migrancy both within and across its borders. After recent comments by Joburg Mayor Herman Mashaba, ANC Secretary General Ace Magashule, SAFTU general secretary Zwelinzima Vavi on immigration and migrants, is SA politics and discourse normalising xenophobia? Will this year’s national election demonstrate a new populism? We are interested in research/journalism projects that seek to examine any of these questions or others that address the current discourse of politics and immigration. Fellows will receive a monthly stipend and research costs. They must be resident in South Africa. They will be expected to devote at least 50% of their time in April-July 2019 to the Fellowship. They will be expected to present their work at the Annual Ruth First Memorial Lecture in August and to submit it for publication in appropriate forums. Applicants should submit their CV, a project proposal (of no more than two pages) and a motivation letter (one page) by Monday, April 8 to the Ruth First Committee at ruthfirstfellowship@gmail.com. Further details are available at wits.journalism.co.za/ruth-memorial-lecture/.